American teenager Angel Yin won a three-way play-off to win the Dubai Ladies Classic as England's Charley Hull finished fifth. 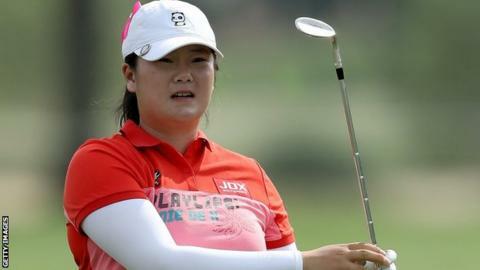 Yan, 19, carded a five-under 67 to put her in a tie on 15 under with France's Celine Herbin and South Korea's Kim In-kyung. Herbin was eliminated after the first play-off hole, before Yin birdied the next for her first professional title. Hull finished on 12 under, three shots behind the leaders after her 69. Scotland's Michele Thompson was ninth on 10 under, with compatriot Kelsey MacDonald a shot back, alongside England's Holly Clyburn.